Councillor Grace was appointed to the Authority in June 2016 by Sefton Council where she represents Victoria Ward. 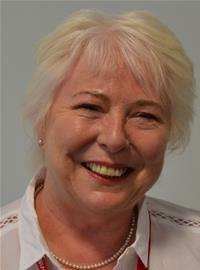 Councillor Grace is a Member of the Labour Group on the Authority and is currently appointed to serve on the Community Safety and Protection Committee. In addition, Councillor Grace is the Authority’s appointed Lead Member for Operational Response.